Blog Quick Quotes: Quick Quotes and Want2Scrap with Susie! Quick Quotes and Want2Scrap with Susie! Hello crafters! Susie here today with an idea to make your gift-giving more beautiful and economical! I recently attended a baby shower and spent way too much money on the gift bag and card! It occurred to me that I have tons of scrapbook paper that I bought because I love the colors and designs. Why not use them to create my own gift ensembles? I purchased a plain white gift bag at a local craft store for about a dollar. I covered the front of it with a piece of paper from the Dusty Road collection. I added a contrasting strip across the top, using an edge punch along the bottom. I inked the edges with Green With Envy PowderPuff Chalking Ink. 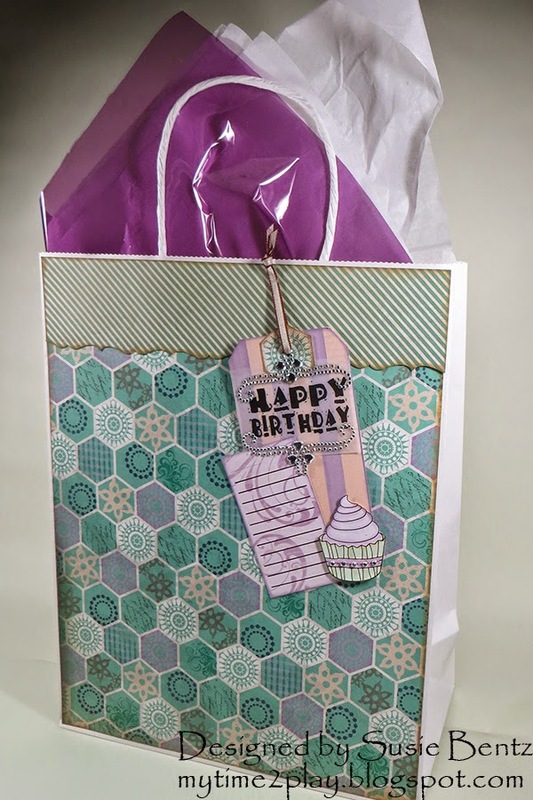 Bag measures 10" x 12.5"
Quick Quotes offers 3" x 4" Quote Cards on bright white cardstock in a variety of themes. 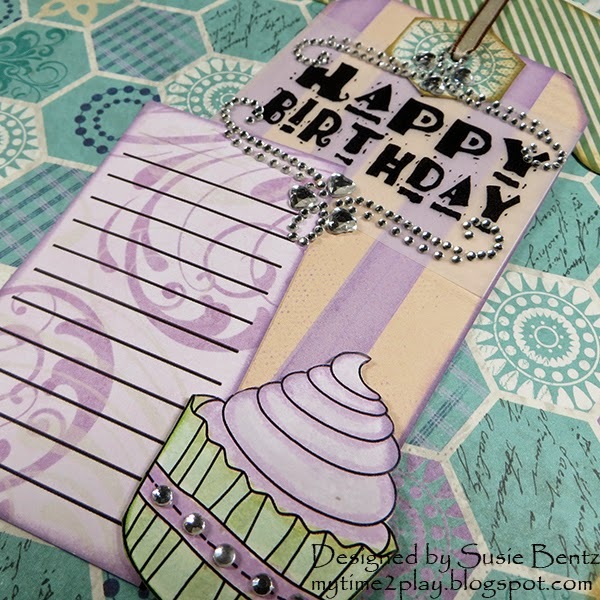 I went through the Sentiments pack and found one with the image of a cute little cupcake. I used PowderPuff Chalking Inks to water color the image before I trimmed it out. 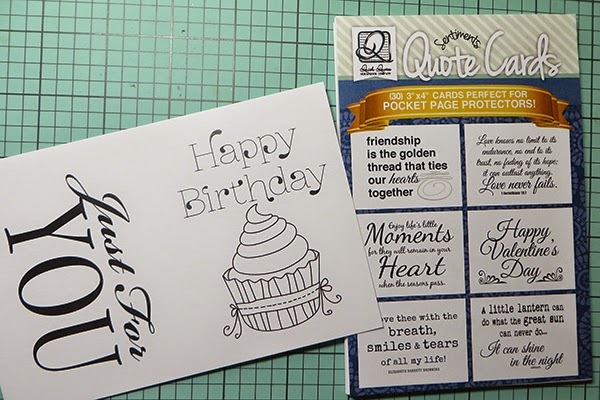 Quick Quotes also offers cardstock and vellum quotes which are packaged by theme. 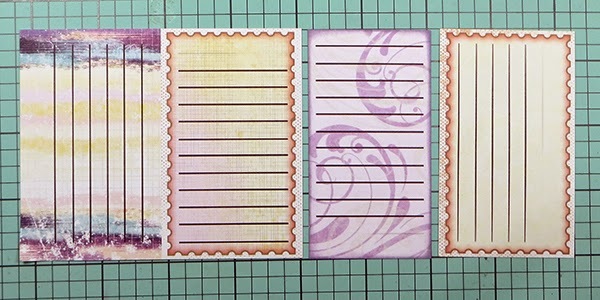 I explored the Sentiments Bundle and found a set of journal cards. I trimmed out one and inked the edges with Plum Crazy PowderPuff Chalking Ink. I cut a tag out of Dusty Road paper and layered on all my elements. 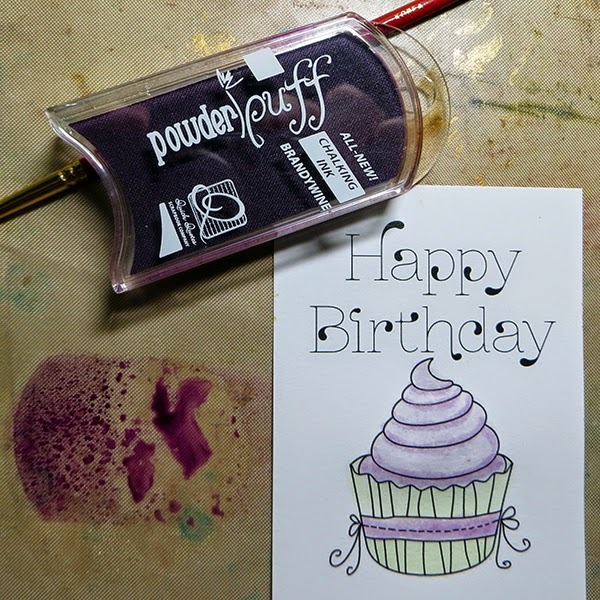 I started with a "Happy Birthday" vellum from the Sentiments Itty Bitty Vellum Box Set. The finishing touch was bling from Want2Scrap. 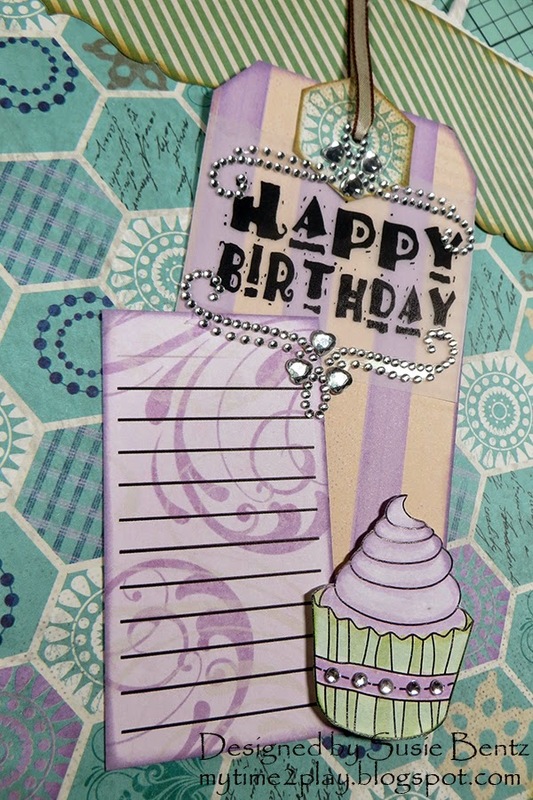 I used the beautiful Heartfelt Bling Brackets to frame the birthday wish. The cupcake is dotted with 2.5mm Baby Bling rhinestones - love that they are self-adhesive! I plan to use the journal tag to personalize the gift when it is time for giving! Take a look at your scrapbook collections with new eyes. Those beautiful designs are perfect for creating customized gift-giving ensembles! Since I hate to wrap presents (I'm all thumbs) I've started putting my presents in bags. I've been decorating them with sheets of DP and making my own tags. 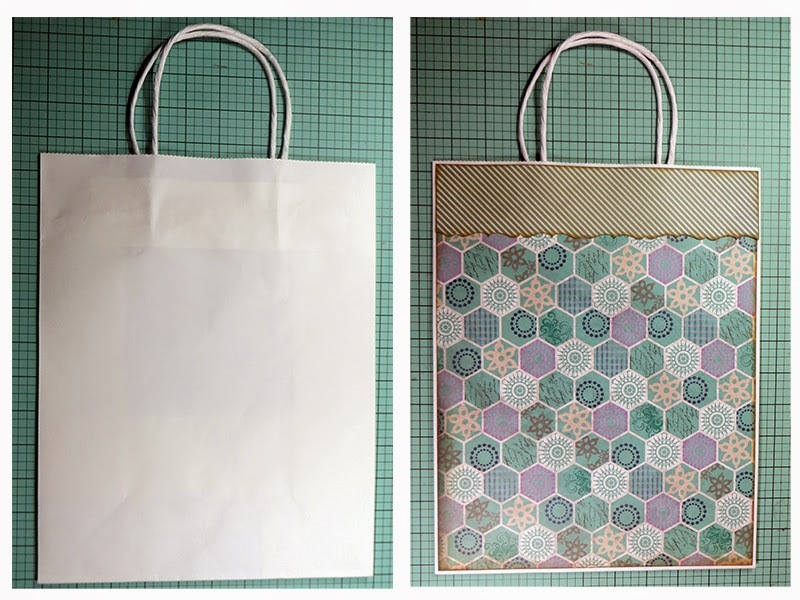 You can embellish the bag to fit the person you are giving the present to. If they don't take the bag - you can re-use it. Wrapping paper gets torn and thrown away. Great idea and I love the bling!